VINYLUX™ is a breakthrough polish system that endures a week of fashion perfection…without a base coat! Exposure to natural light secures the patent-pending technology, creating an enduring, long-lasting polish. While ordinary polishes become brittle and deteriorate over time, VINYLUX dries naturally to a flawless finish and strengthens its resistance to chips over time. VINYLUX is available in 71 fashion-forward polish colors and 60 colors that match popular CND Shellac™ shades. SYSTEM WITHOUT A BASE COAT! VINYLUX Weekly Polish and Weekly Top Coat is a system uniquely designed to work together. Exposure to natural light secures the ProLight technology, creating an enduring, long-lasting polish. While ordinary polishes become brittle and deteriorate over time, VINYLUX dries naturally to a flawless finish and strengthens its resistance to chips. You like your hair straight, but you’re looking for alternatives to pressing, or ironing relaxing to get that glossy hair you want. Maybe you want to try a keratin treatment, which has become increasingly popular in recent years. 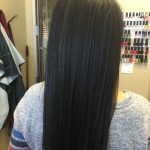 Known by several different names, including Brazilian Keratin Treatment (BKT for short, an acronym you’ll often see on various hair forums) and Brazilian straightening treatment, as well as various brand names, this is the newest craze for getting silky straight hair. Is a BKT suitable for black hair and if so, what can you expect? 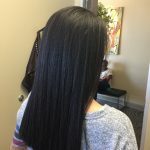 Brazilian straightening treatments don’t have the tried-and-true chemicals you’ll find in typical black hair relarer, such as sodium hydroxide or calcium hydroxide, or chemicals you’ll find in curling perms like ammonium thioglycolate. Your hair is straightened with the active ingredient keratin, a protein very like one of the components of human hair. 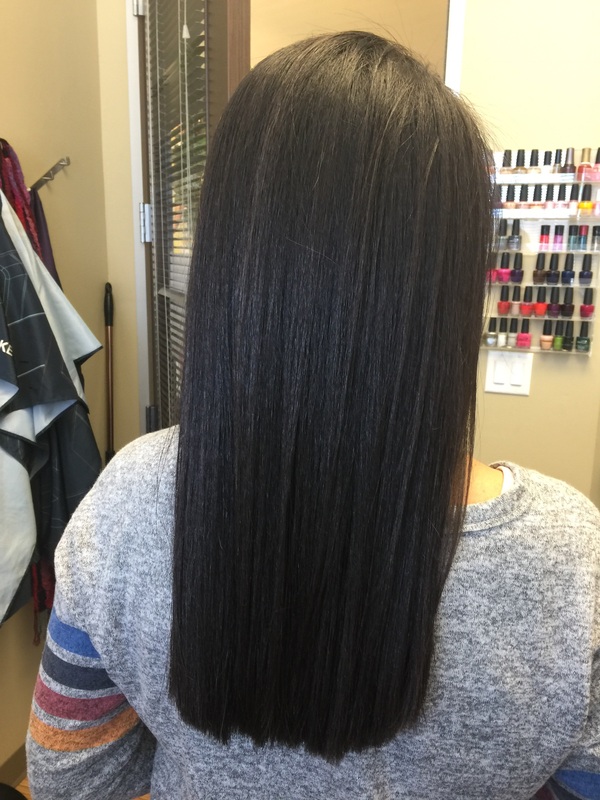 Keratin works to “naturally” straighten the hair. Fans of the treatment claim that it actually strengthens the hair since keratin is so similar to hair’s natural protein. Anyone who relaxes her hair knows that some coloring processes are especially harsh on top of already processed hair. You also can’t apply a relaxer to previously relaxed hair without worry of overprocessing. 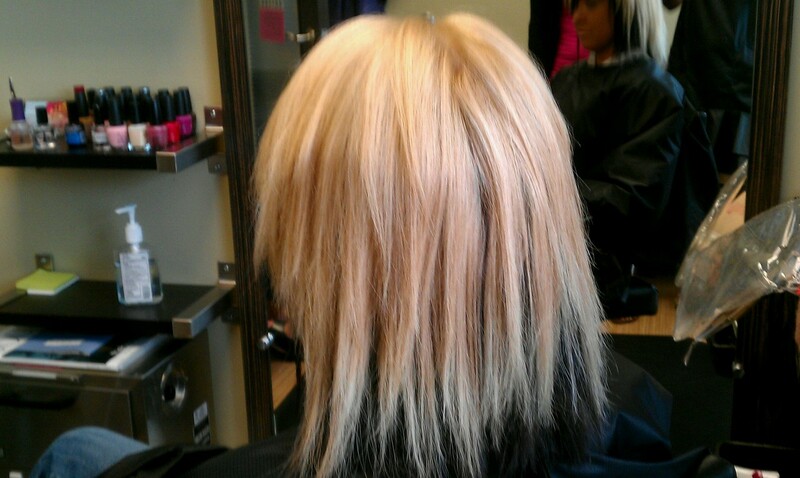 However, a keratin treatment works well on colored, highlighted or previously processed hair. Expect a keratin treatment to take at least a couple of hours to complete, from beginning to end. It’s not cheap and depending on where you live, you may find a wide range in price, but expect to pay anywhere between $150 – $500. 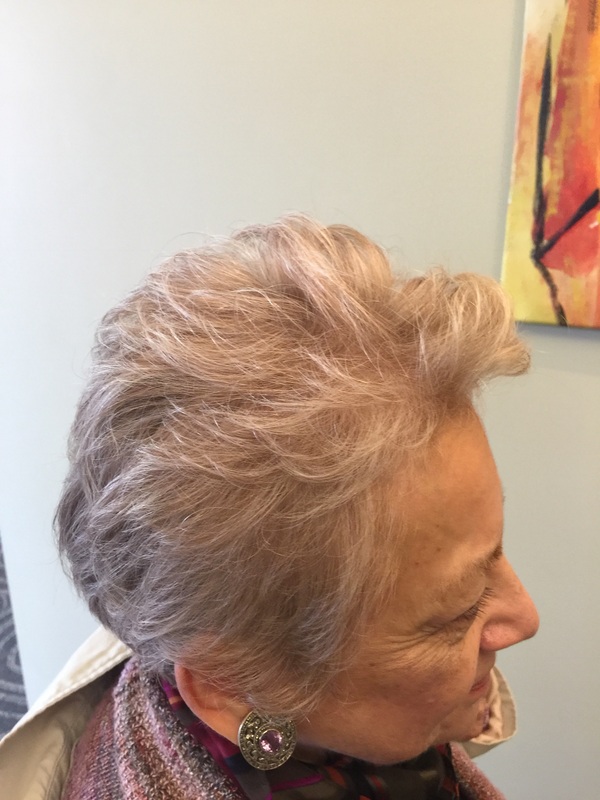 A stylist applies a keratin solution to your hair, much as she would hair color. Hair is blown dry and then sealed with extreme temperatures of up to 450 degrees. The hot iron is required to seal the formula into the hair’s cuticle. 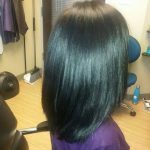 Unlike relaxers and curly perms, a keratin treatment gradually washes away. You’ll notice your hair’s natural curl return over time, anywhere from six weeks to a few months. To get the longest lasting results, use shampoos that have a neutral pH. For the first several days after the treatment, you won’t be able to wash your hair or get it wet. A secure hair cover while in the shower or bath is essential. During this time period, you also won’t be able to exercise because sweating is out, as is putting any kind of product on your hair. In addition, for these few days, you can’t put your hair into a ponytail, pin it up or even tuck it behind your ears as that will lead to kinks that will stick in your hair. 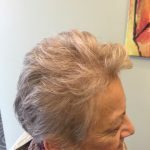 Your hair may be so straight immediately following the treatment that it lacks body, but in time, some volume will return. As with all hair products or treatments, everyone won’t get the same results. While a great degree of the results depends on the competence of your stylist, much also depends on your hair type. 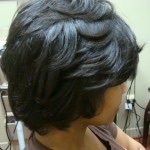 Some women will get super sleek hair that has no wave to it until the treatment begins to wear off. Other women will see a lessening of frizz with no real straightening, unless they use a flat iron when styling. 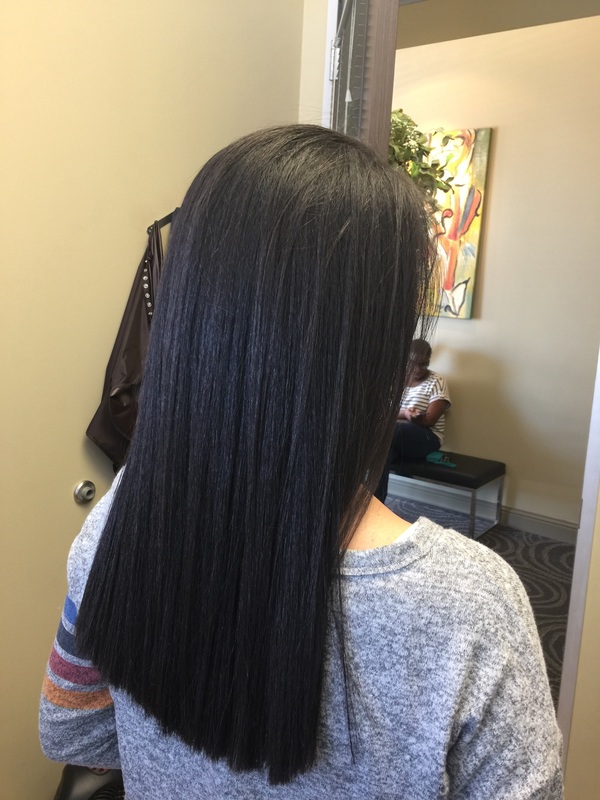 If you’re seeking bone straight locks, you may be disappointed, but if you’re looking for an easier way to manage your hair without worrying about how straight it turns out, a keratin treatment may be for you.